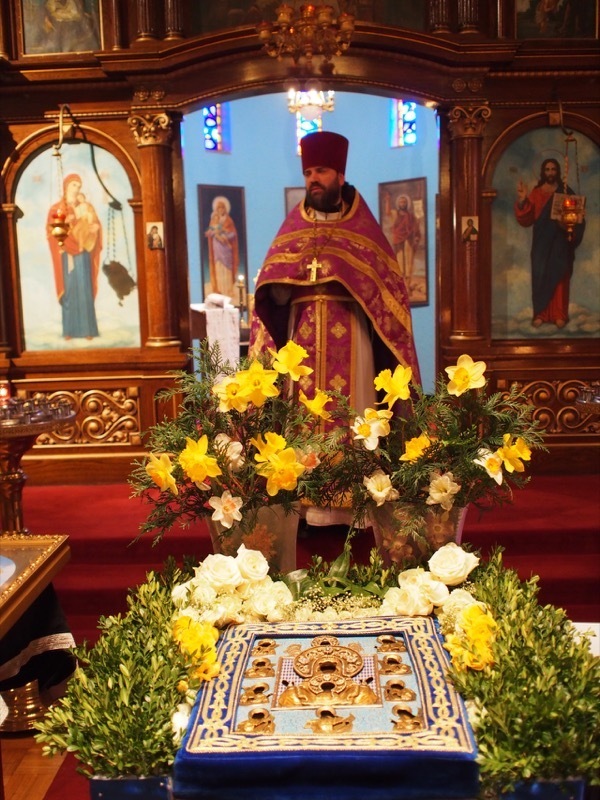 Columbus, OH - On Saturday April 2, 2016 the Wonderworking icon of the Most Holy Mother of God (of the Sign) - Kursk-Root Icon; was at St. Stevan of Dechani Serbian Orthodox Church in Columbus Ohio. It was the Grace of God and the Blessing and Mercy of The Most Holy Mother of God - Theotokos; to have The Wonderworking Kursk-Root Icon in our Church for Divine Liturgy and Moleban Service. 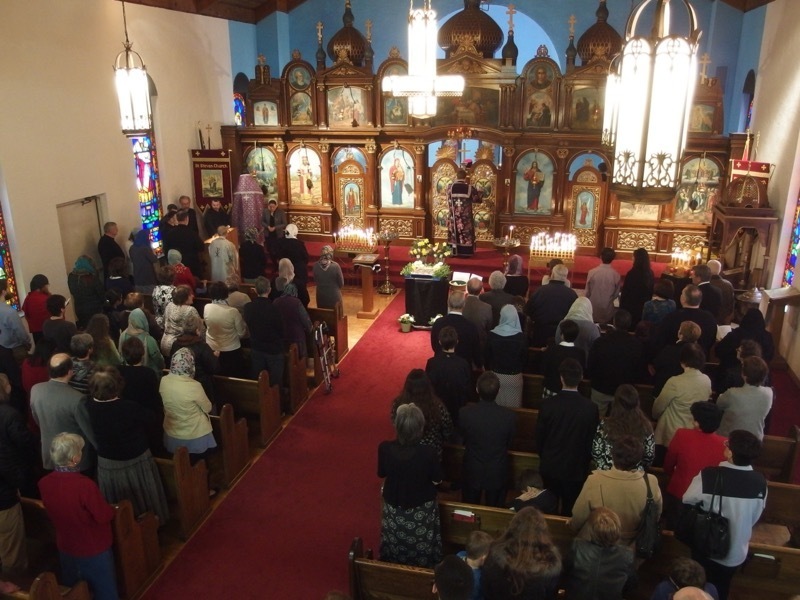 St. Stevan Church was packed with faithful from all orthodox parishes in Columbus. There was also a great number of the clergy from Columbus, Cleveland and Cincinnati. The Church was filled with the Grace of God and the merciful presence of The Most Holy Theotokos has moved many faithful to tears. We are grateful to Archpriest Fr. Ilia Marzev and the Russian Orthodox Mission of “St. John of San Francisco” in Columbus for organizing this event. Glory to God for everything!